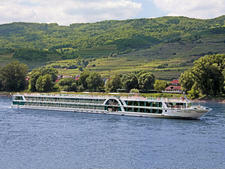 MS Amadeus Symphony, built in 2003, is 361 feet long and 1,566 tons. 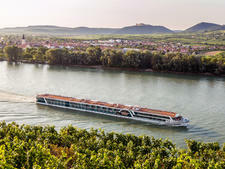 It features four decks: the Sun Deck and three passenger decks whimsically named after famous Austrian composers -- Mozart, Strauss and Haydn. Its 68 standard cabins are 161 square feet. The 25 cabins on the lowest (Haydn) deck feature windows, while the 27 on the second (Strauss) deck feature panoramic windows. The 17 cabins on the third (Mozart) deck feature French balconies. All four suites -- found on the Mozart Deck -- have French balconies and are 236 square feet. All cabins have twin beds that can be pushed together to form queen beds. They also have seating areas, cabinets, showers, TVs and phones. Suites feature bathtubs, sofa beds and minibars. 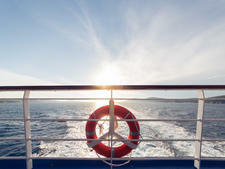 Passengers spend their leisure time on the Sun Deck, where they can take in the sights from deck chairs or while practicing their putting on the boat's putting green. It also features a walking track and a giant chessboard. 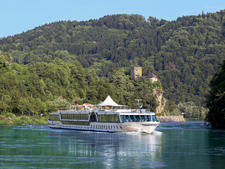 Meals are served in the Panorama Restaurant on the Mozart Deck, where passengers can grab light bites in the early morning or a buffet breakfast a little later. Lunch is served either buffet style or standard sit-down, while dinners are five-course gourmet affairs complete with complimentary regional red and white wines. Produce is fresh, regional and seasonal. Passengers can indulge in an afternoon tea and cake service and a midnight snack, too. Other amenities include a fitness room, a hairdresser, Internet station, Panorama Cafe and Panorama and Lido bars. 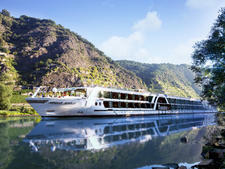 On excursions, passengers can use Symphony's complimentary bikes and wireless audio tour systems. 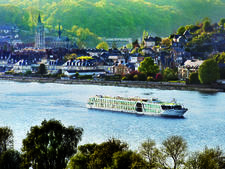 Launched in 2016, Amadeus Silver III joins the nine-strong Amadeus fleet. The 168-passenger vessel is the near identical sibling to Amadeus Silver II, which debuted in 2015. 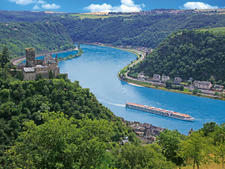 Amadeus River Cruises' Amadeus Silver II launched in April 2015, sailing Rhine and Danube itineraries, and offering both familiar and new concepts for the line. 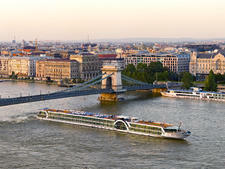 Austrian-based Amadeus River Cruises' Amadeus Provance carries 140 passengers. The 62 standard cabins measure 188 square feet, offering more space than the line's other two French vessels. The four-deck MS Amadeus Brilliant has 65 standard cabins, nine suites and two solo cabins; highlights are the putting green and small salon. The four-deck MS Amadeus Royal has 65 standard cabins, nine suites and two solo cabins; highlights are the putting green and small salon. Amadeus Silver is a sleek, modern river boat that combines elegance, exceptional dining and personalized service; a highlight is the open-air River Terrace lounge. The four-deck MS Amadeus Elegant has 65 standard cabins, nine suites and two solo cabins; highlights are the putting green and small salon. The all-new Amadeus Star is purpose-built to appeal to younger river cruisers and millennials by offering more flexibility onboard and ashore. 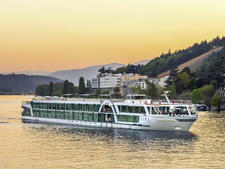 The four-deck MS Amadeus Diamond has 65 standard cabins, nine suites and two solo cabins; highlights are the putting green and small salon.